Here are the parts to the one I am working on now. 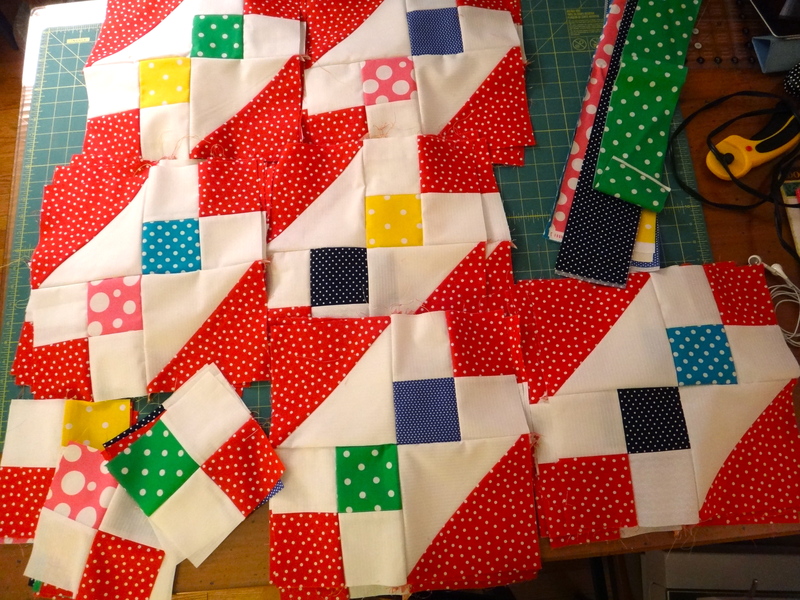 I have to make 6 more of the blocks and then I can start sewing them all together. I can’t wait to see how it turns out!! Hi Diana – thank you 🙂 I did the same pattern in purple and orange last week. I’ll have to post a picture of it. It looks really different than the red and white one I am currently finishing. Happy Friday! This is such a versatile pattern. So many great variations. Your blocks are so colourful and fresh. They look great. I am looking forward to seeing it together. I had to come back a second time because I just love the bright colors and the block pattern. I can’t wait to see the finished quilt.